I got a lot of good feedback the last time I posted a Rachael Ray recipe, so I figured, let's do another one! 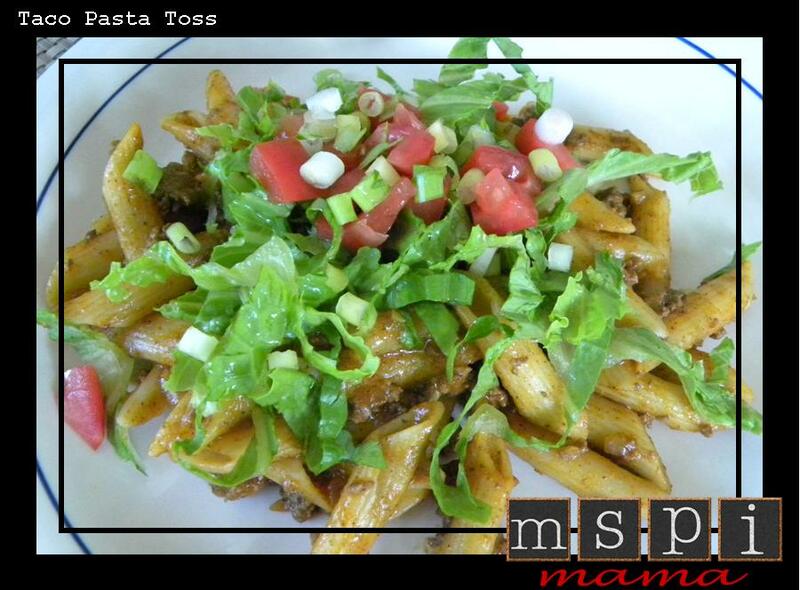 This recipe is a great way to satisfy your pasta and Mexican cravings all in one meal. It's a real crowd-pleaser! I left out the jalapeno, because I wanted to keep things on the milder side for the kids, and the coriander, because I didn't have any on hand. Bring a large pot of water to a boil, salt it, add the pasta and cook until al dente. Drain and return to the pot. While the pasta is working, in a large skillet, heat the oil over medium-high heat. Add the beef and cook until browned, about 5 minutes. Add the onion, the jalapeno, garlic, chili powder, cumin and coriander; season with salt and pepper to taste. Cook until the onion is softened, 6-7 minutes. Stir in the tomato paste for 1 minute, then stir in the stock. Add the sauce to the pasta and toss. Place lid over the pan for a few minutes, which will give the pasta time to soak up the sauce. 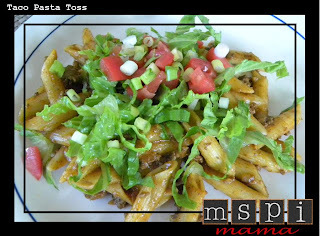 Divide pasta onto plates and top with your favorite taco toppings. Tip: Got leftover chili? You can use it as your sauce. Warm it up on the stove, add some stock to thin it out and toss it with pasta. Quick, easy and cheap -- two meals in one!